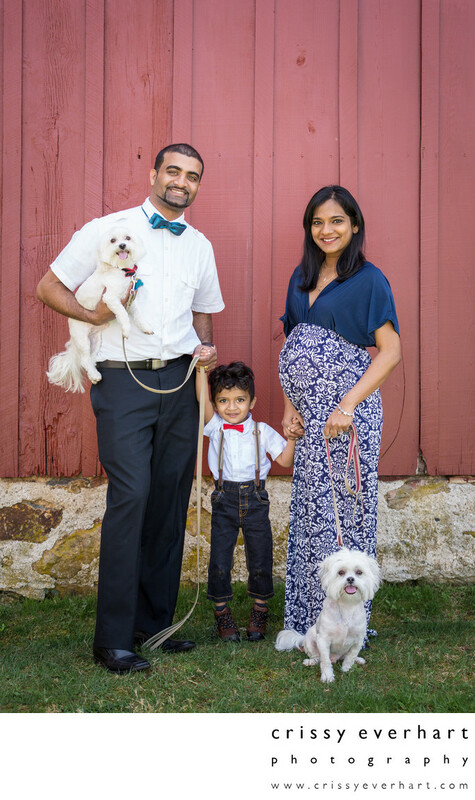 Indian family with a toddler boy and two small, white, fluffy dogs. The mom is 8 months pregnant and her little boys will be three years apart! They chose to do the photos at Chester County's Springton Manor Farm to match a previous photo session from a few years prior.